It is no lie that I like to make smoothies. I make them for breakfast, whip one up for a snack, and sometimes substitute them for a meal. Usually I use vanilla or strawberry yogurt from the refrigerated aisle. But this week, frozen yogurt was on sale at the grocery store, so today’s smoothie recipe was made from frozen yogurt. Frozen Yogurt smoothies are super creamy and healthier than adding ice cream to your smoothie or milkshake. You can either purchase the ready made frozen yogurt or you can make your own frozen yogurt first and use it in your smoothies. Toss everything in the blender. You can definitely use whatever healthy, fresh ingredients that you like. These are just my go-to items that are almost always in my fridge. I made a smoothie the other day with some fresh blackberries & peaches. Yummy! I just wanted to keep drinking that refreshing treat! Perhaps my next smoothie with include: frozen yogurt, honey, and peanut butter. The other great thing about this recipe is that it doesn’t need any added sweeteners since frozen yogurt usually contains some form of a sweetener. 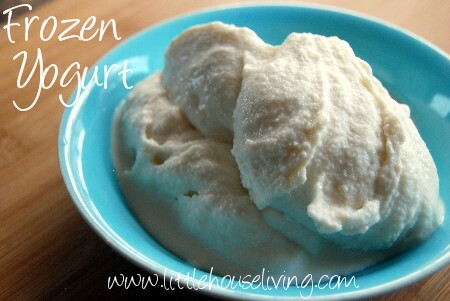 If you frozen yogurt doesn’t, you may consider adding raw sugar, honey, or coconut sugar. Pretty much anything will work! What are your favorite fruit combos for smoothies? Next smoothie on your list to make? 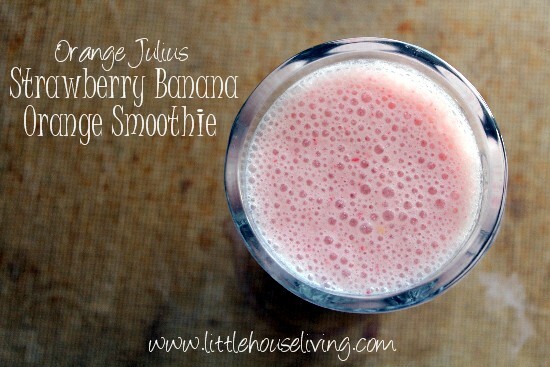 Try this Orange Julius Strawberry Banana Smoothie Recipe! What are you putting in your smoothie? 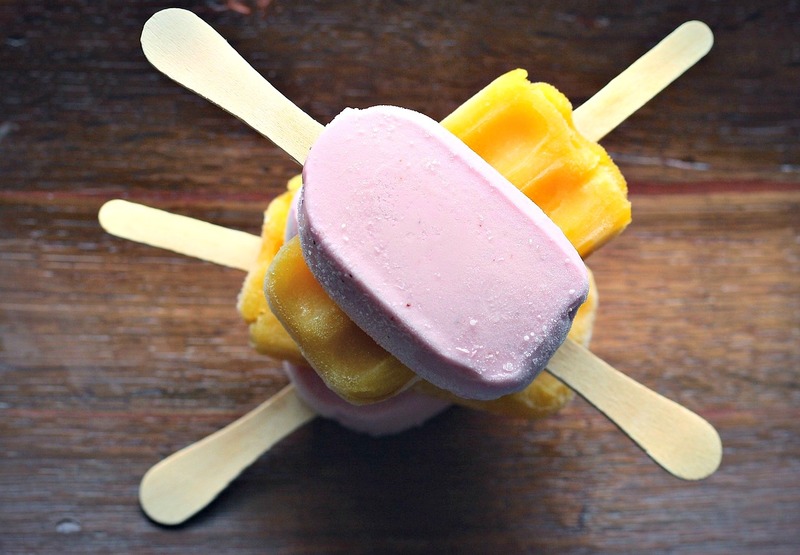 Are you going to give this Frozen Yogurt Smoothie Recipe a try? Interested in making other smoothie recipes? Here is a list of 25 Healthy Breakfast Smoothies. Please refresh the page, the website was having issues but should be fixed now. I love making them so they are all fruit! We get fresh berries/fruit and then I freeze it. I also take bananas and cut them in chunks and freeze them. When I make smoothies, I pull out a variety of frozen fruit and sometimes fresh if I have it. I add some 100% fruit juice and blend! Sometimes we add yogurt but we actually like it with just fruit. 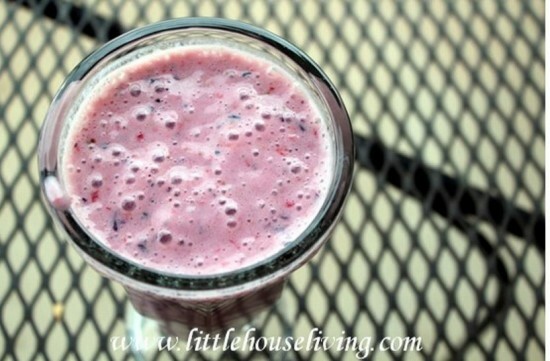 My husband loves blueberries and I usually add some banana and cranberry or grape juice. I like them with pineapple, strawberries, bananas and orange juice. Yum! Our “family favorite” smoothie contains a frozen fruit blend of peaches, pineapple and strawberries plus greek yogurt, coconut water, orange juice, a half banana (and any other fresh fruit that needs to be used up), and about 1.5 cups of spinach or kale. I have used this recipe for years and the other day I didn’t have any greens so I used blueberries instead. My kids asked me if the smoothie had gone bad because it was purple and they are used to it being green 🙂 They still liked it though! I make the frozen smoothies, wanting to make a frozen yogurt shake?. Like all of your ideas ! Very helpful and refreshing. 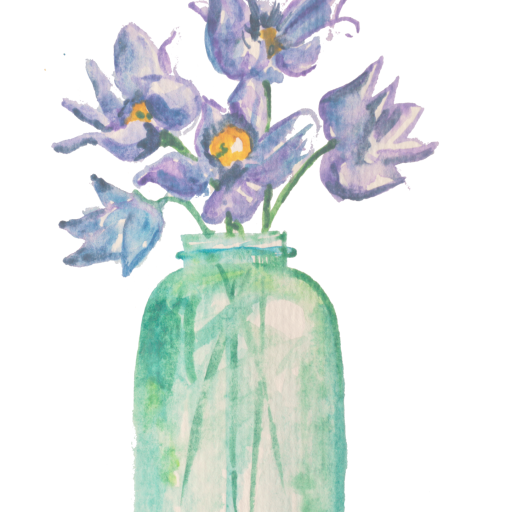 I am a retired schoolteacher and years ago I taught Home Economics now it is called Family and Consumer Science. Learning how to sew mend and cook frugal meals that are also healthy is a valuable life skill . It takes patience creativity and knowledge all of which are needed for difficult times especially financial ones.